II.C.2. Child perceives differences between similar sounding words. The child: points to the appropriate picture when prompted (when shown a picture of a goat and a coat, points to the picture that matches the word spoken). The teacher: provides pictures with similar sounding names for the children to interact with. The child: sequences story picture cards. III.A.2. Child uses books and other written materials to engage in prereading behaviors. The child: chooses a “book” in a software program by clicking on the appropriate icon, moving through the program and closing the program when finished. The teacher: demonstrates and discusses appropriate reading behaviors (… voice/print matching) on materials such as lists, menus, songs, signs, and charts (with print large enough for children to see). III.C.1. Child names at least 20 upper and at least 20 lower case letters. The child: manipulates letters in a variety of ways (finds letters buried in sand; letter sorts, matching upper/lower case letters). The teacher: has child name the first letter in a word or a specific letter when reading books, charts, or poems. The teacher: has child match plastic letters to an alphabet array on a mat and say each letter as it is matched. The teacher: plays games with child’s name printed large enough for child to see the print (name puzzles; name sorts; fishing for names). III.C.2. Child recognizes at least 20 letter sounds. The child: identifies the letter that makes a given sound. The child: points to target sound when shown 2‐4 letters. The teacher: instructs child in matching letter sounds to the letter name and the printed letter shape (“The story says, ‘Here is the dog’. Let’s find the word dog in the book. Dog starts with /d/. That is the letter d. Here is the word that starts with that letter.”). The teacher: models writing children’s names making letter sounds as he writes each letter (“John starts with /j/. What letter makes that sound?”). III.D.1. Child retells or reenacts a story after it is read aloud. The child: retells and sequences the main events of a story. The teacher: provides story cards to assist children in sequencing retellings of stories. The teacher: extends the story into centers for children to continue the story line, characters, or concepts in other ways (draw a picture about the story in the art center; plant carrot seeds/top in the science center). IV.B.1. Child independently uses letters or symbols to make words or parts of words. The teacher: provides opportunities for child to use magnetic or plastic letters, or alphabet stamps to create her own names. The teacher: provides child word cards with pictures on which he can match letters. The teacher: demonstrates and uses the verbal ordinal terms using varied contexts, such as games, standing in line, etc. The teacher: reads stories to children that provide a clear sequence of events (such as The Three Bears), using questions to engage the children in summarizing the story (“What happened first?” ; “What happened second?”). 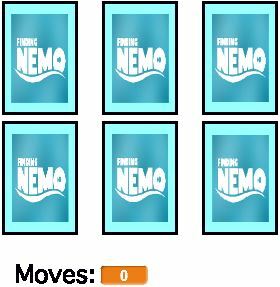 The teacher: provides games that involve rapid responses to small sets of objects, such as using cards with 1‐5 dots to play “Go Fish”. V.A.9. Child recognizes one‐digit numerals, 0‐9. The child: separates cards that have printed numerals from other cards with printed letters. The teacher: provides opportunities to play games that use numeral cards, numbered pieces, or dice with numerals 0‐9.